Constructed of heavyweight 420gram ripstop canvas, the Goose is a camping system purpose-built for bike tours. The tent is fully waterproofed and equipped with zippable fly screen layers for breathability. 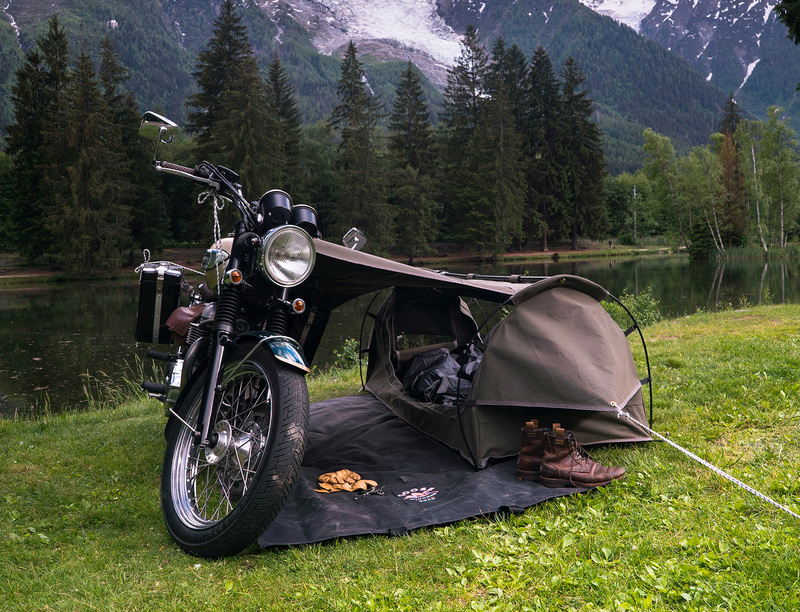 The flooring is made of heavy duty pvc to keep moisture out & it has a canvas wing/awning that attaches to your motorcycle to create shelter for your riding accessories like helmet, boots, etc. The SR/F from Zero Motorcycles looks pretty sweet and the numbers aren’t too shabby either. This sharp, battery-powered sportbike produces 110 horsepower and 140 pound-feet of torque snapping it to a top-speed of 120MPH with a roadtrip-worthy range of 160 miles. 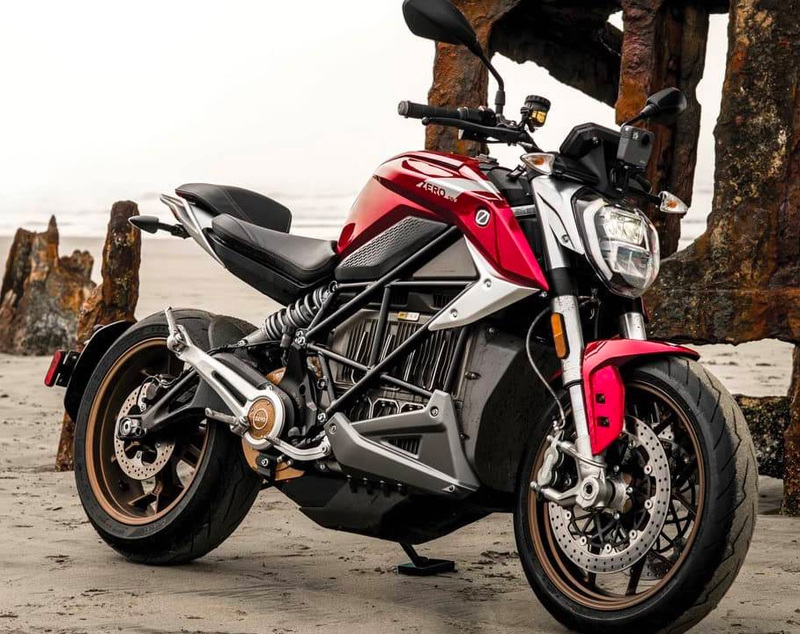 Zero offers over-the-air updates for the bike’s Cypher III software system as well as an optional fast-charge upgrade that cranks it from 0% to 95% in just one hour. 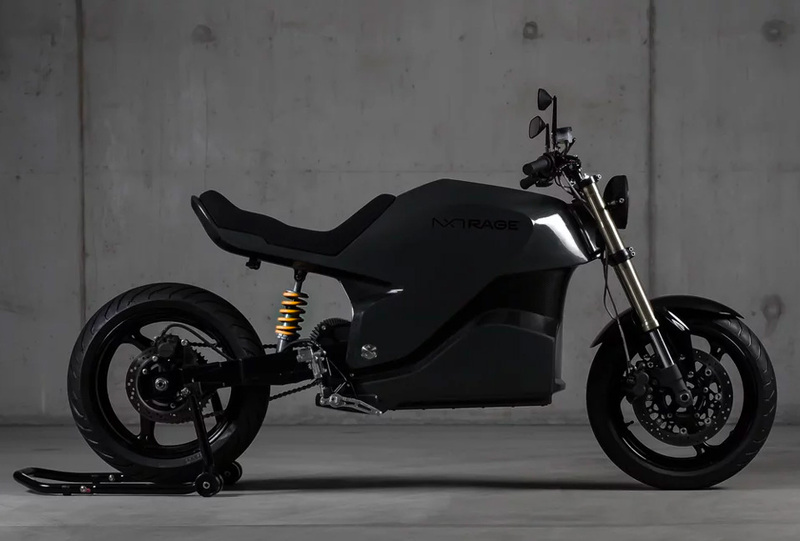 The torquey, all-electric Rage from NXT Motors is a state-of-the-art gearless & emission-free, battery-powered bike constructed with a carbon fiber monocoque body. This makes it about 25% lighter and twice as strong as similar class bikes. 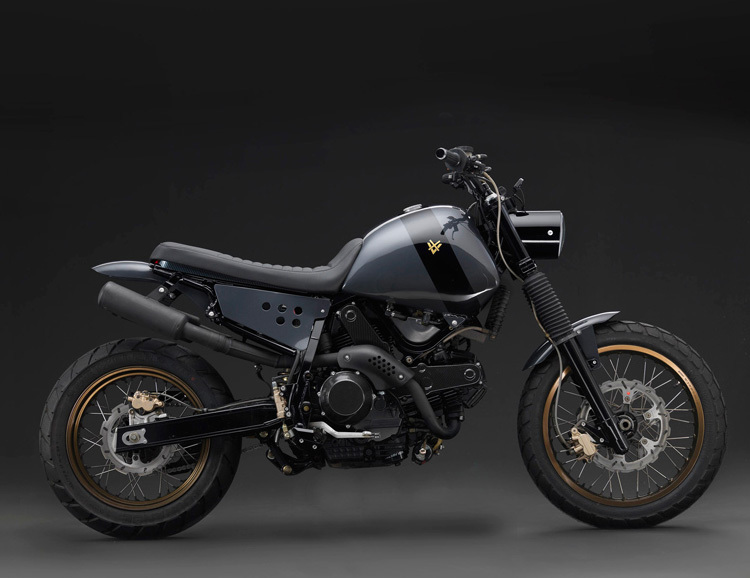 An aggressively—almost viciously—modified Kawasaki Z1000 provides the foundation for the DM-014 from vanguard bike builders Droog Moto. 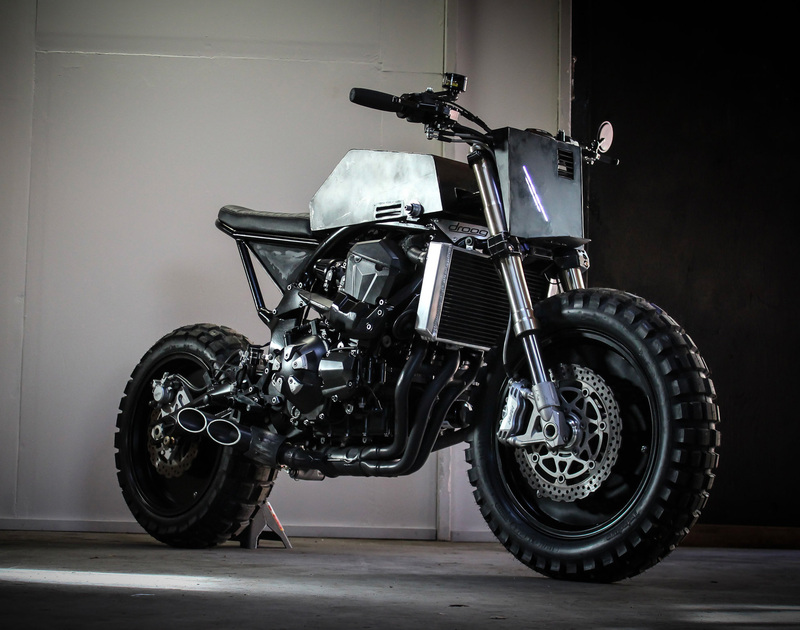 This post-apocalyptic 125 horsepower street fighter features a long list of custom parts including: solid aluminum wheel inserts, fuel cell, subframe, and exhaust plus upgraded suspension, LED lighting, and lots more. Triumph just launched a new division called the TFC or Triumph Factory Custom, that will create limited edition customs, high-performance variants, and develop concept bikes for the future. 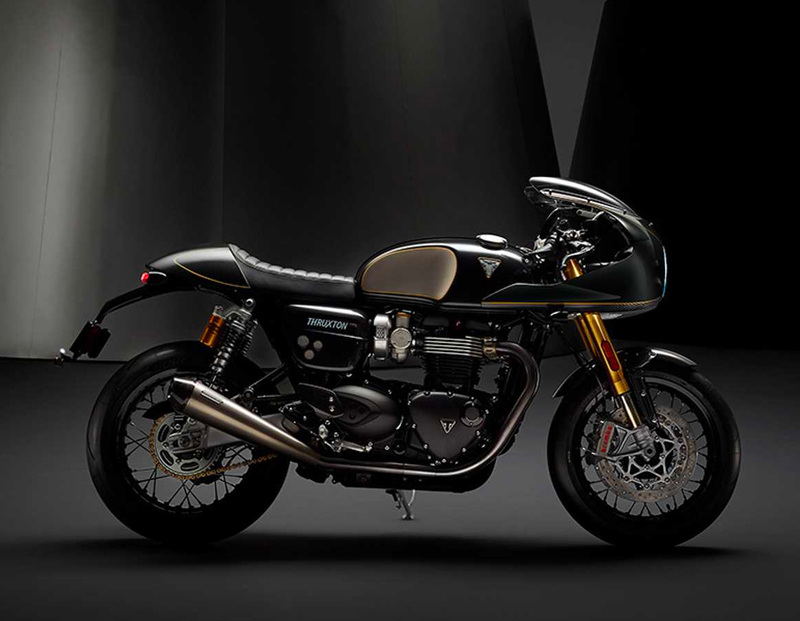 The first one off the factory floor is the 2019 Thruxton TFC. Based on the stock Thruxton, the TFC is powered by a tuned 1200cc motor and features a carbon fiber body, special V&H exhaust, Öhlins shocks and high-performance Brembo braking systems among its many performance and aesthetic upgrades. Only 750 of these bikes will be made. Generally speaking, the Royal Enfield Continental GT is a fun but modest little bike. Good for backroads and scenic Sunday spins. 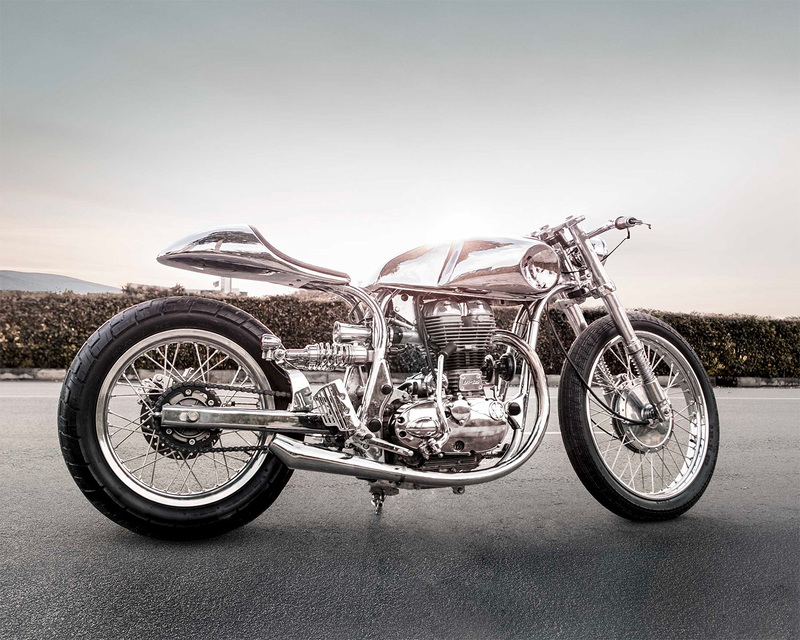 This one though, built-up and chromed-out by the crew at Bandit 9 is more of a showpiece. They gave it handmade tins and a rear cowl plus built custom parts for pretty much everything: headlight, fork, swingarm, speedo, pegs, levers, brakes, and on and on. All of it, as you can see, is dipped in mirror-like chrome. 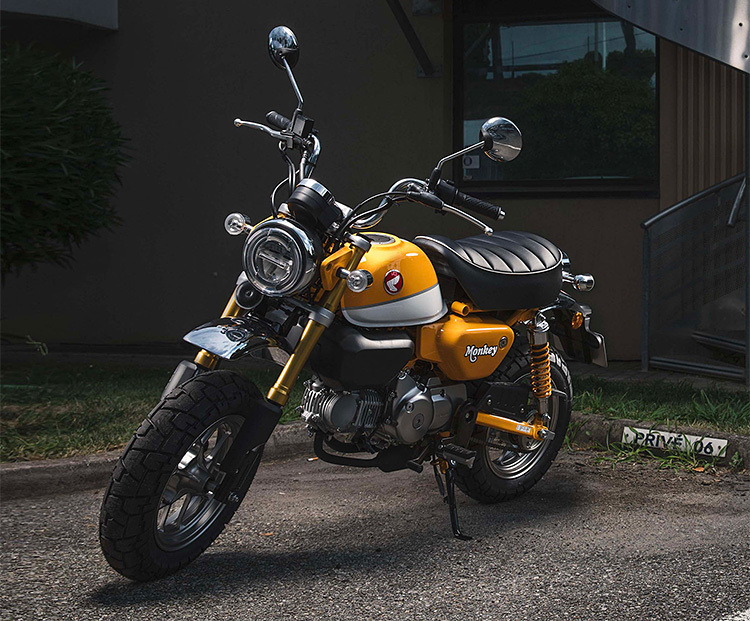 With the retro 60s-era styling of the original mini Monkey intact, the 2019 Honda Monkey looks like a lot of fun. For convenient urban transport, a bike for the back of the motorhome, or for laps around the yard, the pint-size 125-cc bike is fully road legal and rides on 12” wheels. It’s even available with ABS brakes. 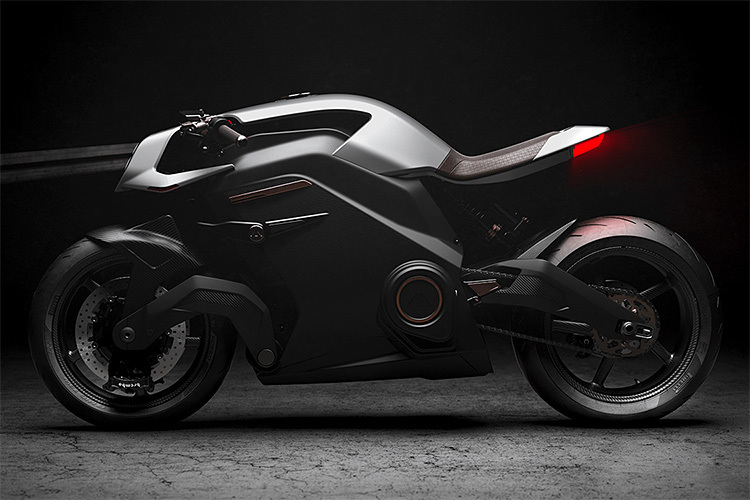 Curtiss Motorcycles’ all-electric Hera looks like it was pulled off the set of a futuristic sci-fi film but bike buffs will recognize the century-old influence of Curtiss’ original 1907 V8. 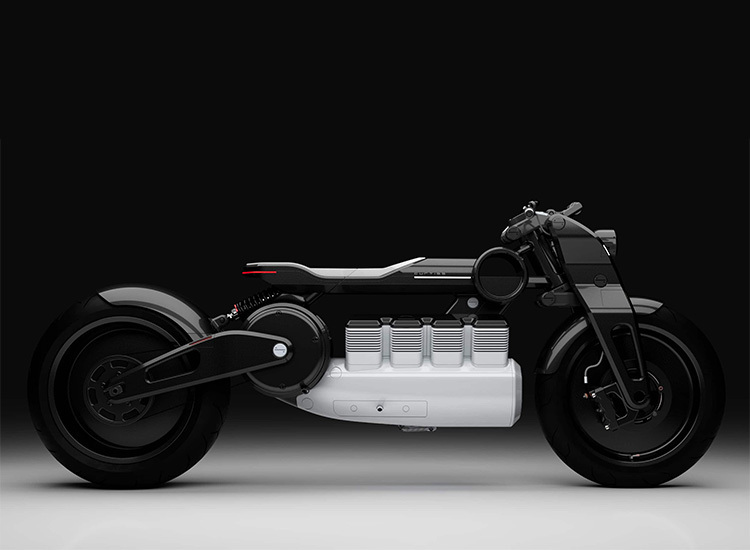 They’ve re-imagined the bike as an all-electric but retained the V8 look by placing the lithium-ion batteries and 140Kw motor in the “cylinders.” The bike boasts a range of 280 miles and delivers 145 foot-pounds of torque that snaps it from 0-60 in 2.1 seconds. Hold on tight. 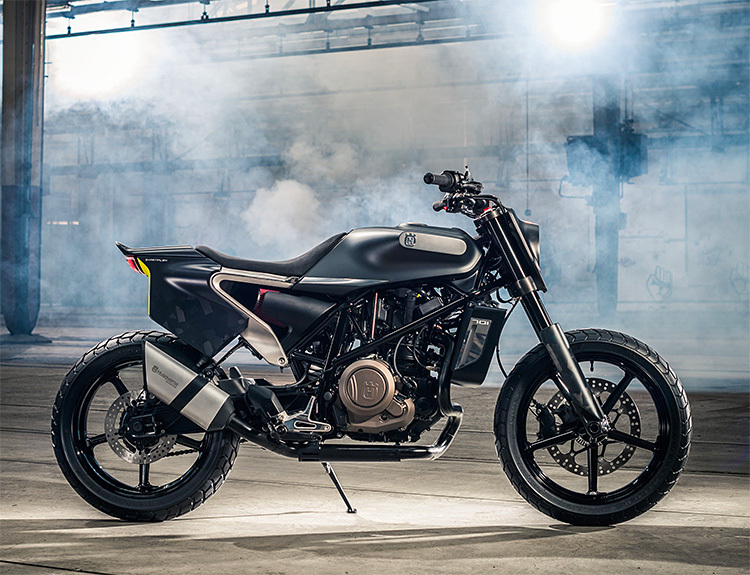 Husqvarna unveiled the latest variant of their futuristic Svartpilen 701. The “Black Arrow” is a blacked-out and flat-track inspired version of the bike powered by a 692cc liquid-cooled single in a chromium-molybdenum steel trellis frame. To give the bike a fresh & street smart look, the headlight mask, fork shrouds, seat, tail section, and handlebars are all new and of course, all black. Makers of the Arc Vector are billing it as the most advanced electric bike ever made. And it’s not just it’s Tron-like design and impressive numbers: 0-60 in 3.1, top seed 120MPH, and a range of up to 200 miles. The bike comes with a helmet that acts as the keyless ignition and features a HUD that delivers speedometer, power & SAT/NAV data. A haptic riding jacket is also part of the tech package, which gives driver feedback, like a tap on the shoulder if there’s a vehicle in the blind spot, or calculating the bikes dynamic position based on G forces. It can even sync with music streaming from the helmet to amplify bass you can feel in your body. If you never thought you’d see the day Harley produced a hog that doesn’t squeal, well, here it is. 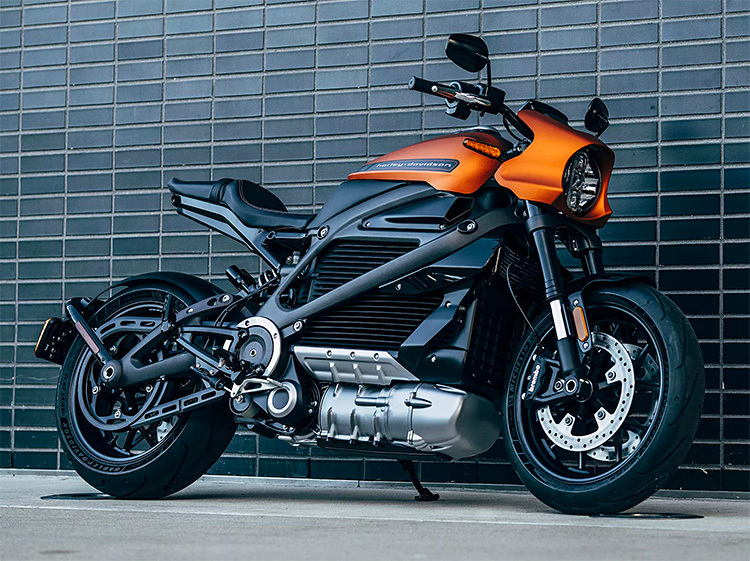 The forthcoming Harley-Davidson LiveWire is the brand’s first all-electric bike, and it’s set to debut in 2019. No word yet on performance and pricing but you can place your order beginning in January. As if their 900cc retro off-road Scrambler wasn’t powerful enough, Triumph is rolling out a 1200cc model for 2019. 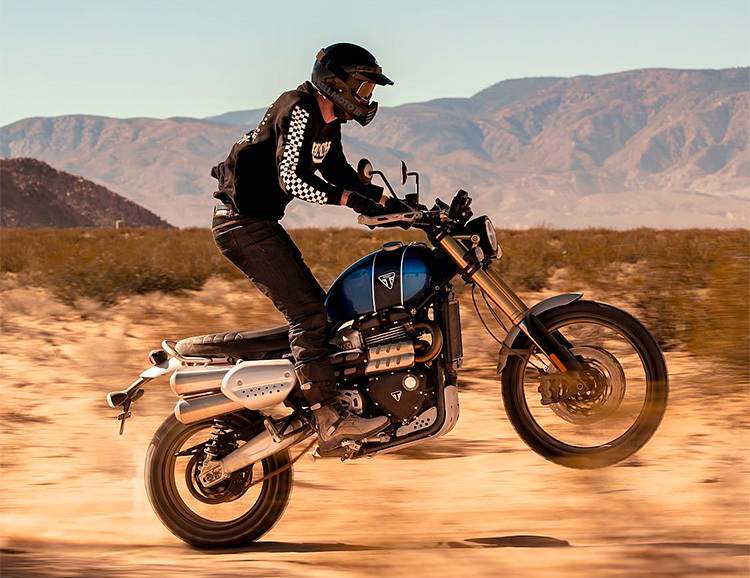 Powered by the motor from the Thruxton R, this new, gnarlier Scrambler features a design deliberately executed to blur the lines between a retro scrambler and a more modern adventure tourer. It will be available in two models: the 1200 XC and the fully-loaded, more off-road friendly XE, both featuring improved electronics, including bluetooth & GPS, as well as an app that will help manage all your trip data, calls, and performance feedback data. 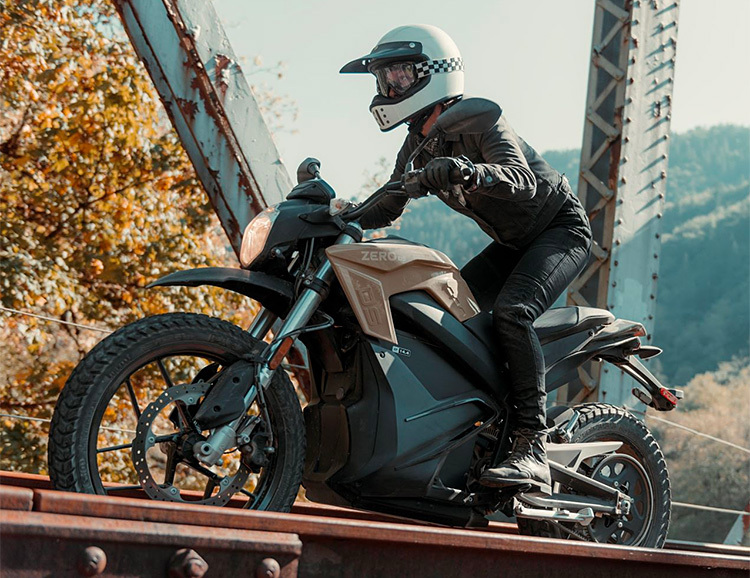 Fresh styling and enhanced performance highlight Zero’s diverse 2019 lineup of electric motorbikes. As the brand at the forefront of the ever-expanding market, the California-based outfit is constantly progressing its offerings. From their popular dual-sport DSR model to the base models Zero S and everything in between, the 2019 bikes all feature the ZF14.4 power pack, 6 kW Level Two charging, seemingly endless torque, silent operation, and Rapid Recharge that’s six-times faster than their competitors. Using the now extinct 1999 Cagiva Gran Canyon 900 as the platform, Venier Customs created the VX Traveler as a dirt-worthy, long-distance tourer. It features a completely custom body, exhaust, as well as a variety of custom carbon fiber parts. The bike got a Marzocchi 45 mm front fork, a Sachs rear shock and a Nissin braking system. This bike is a one-off but a perfect example of Venier’s A-Grade design/build skills. 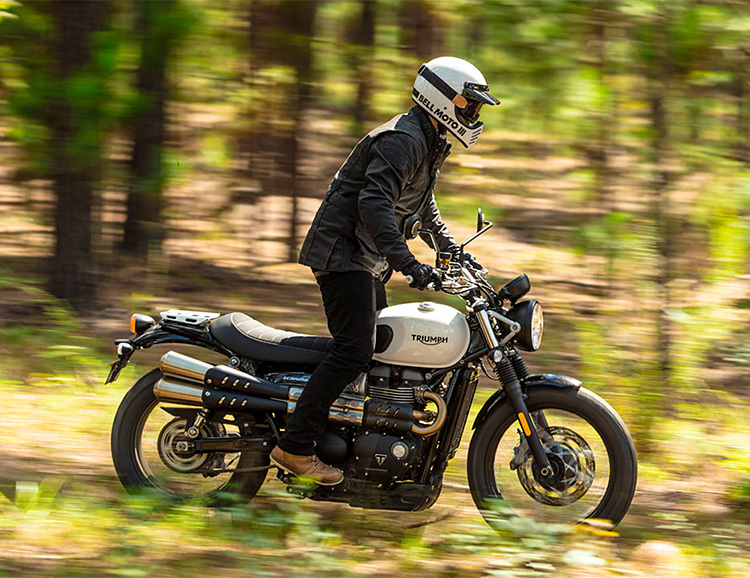 For 2019, Triumph has upgraded its entry-level classic Street Twin and Street Scrambler. The bikes both got a 10-horse power upgrade to their shared 900CC parallel twin motor, up to 65hp. They got improved suspension, Brembo brakes and streamlined ergonomics. Both bikes also got some aesthetic updates, like new handlebars & LED lighting. Triumph also offers “inspiration kits,” which allow riders to easily customize their bikes. Yamaha’s forthcoming Ténéré 700 ADV has made the journey from 2016 EICMA show-stopper to (we hope) a full production adventure bike. 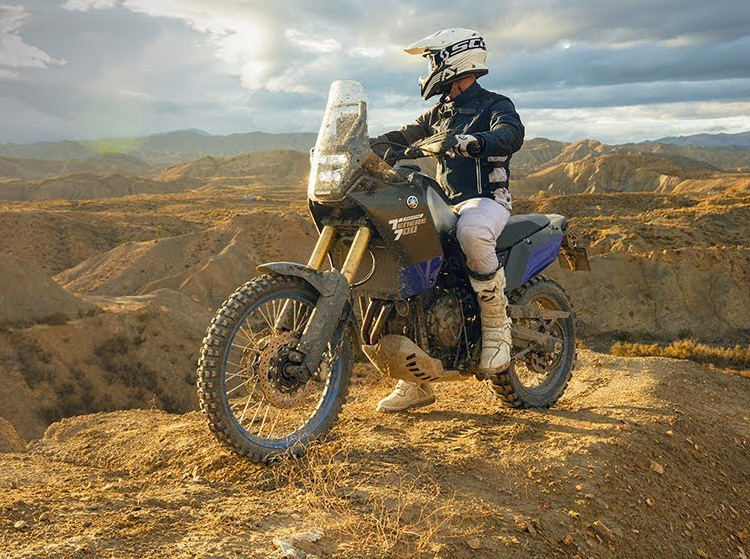 Before the official release details drop, team blue is taking the new bike on a backroad tour, the World Raid tour will led by ambassador & global adventure icon Nick Sanders. What we can say for sure so far, the bike looks badass. Watch the video. 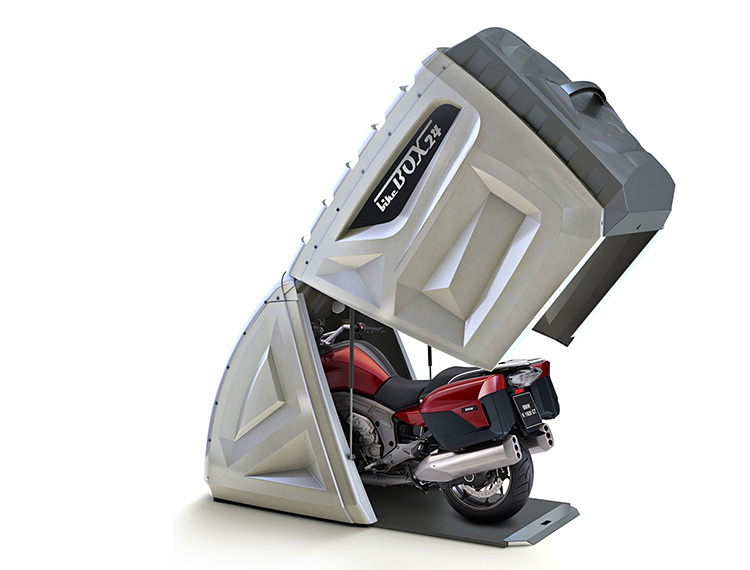 Bike Box 24 is a dedicated garage for your motorcycle, quad, bikes, & other toys. Designed and made in Germany, it provides reliably secure storage & protection against weather, UV exposure, theft, & vandalism. Requires no building permit & is approved by insurance companies. It features an overhead swinging tailgate with hydraulic springs and constructed of galvanized metal & plastic. Lockable, waterproof, and ventilated. Following the recent announcement of a bunch of new bikes, Harley-Davidson has just unveiled another. 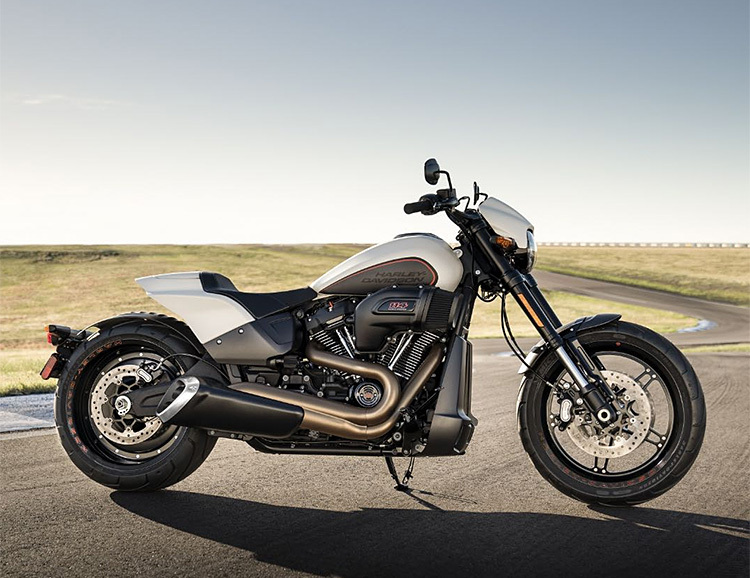 The 2019 Harley-Davidson FXDR 114 is a drag racing-inspired cruiser built around the Milwaukee-Eight 114 engine which features lightweight aluminum and composite components to crank up performance. 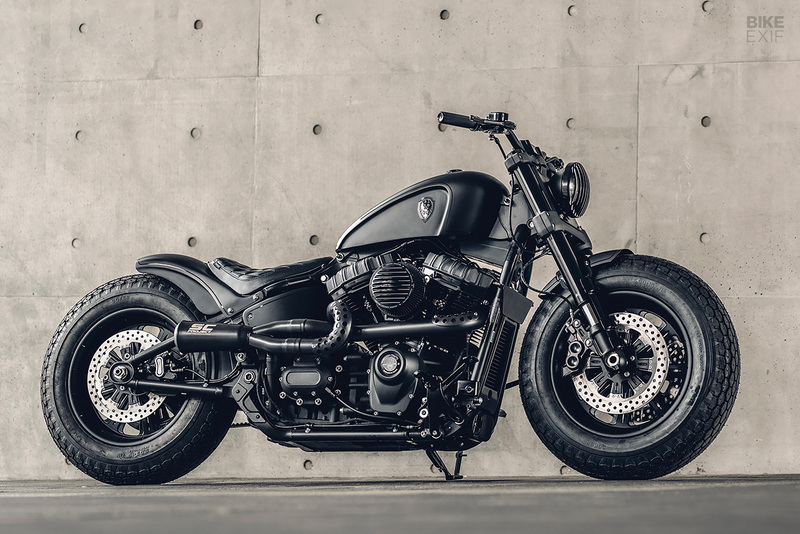 It rides on a Softail frame which has also been lightened & stiffened up for a bike that looks much like a classic Harley but will be leaner, meaner and more performance-focused than the rest of next year’s lineup. 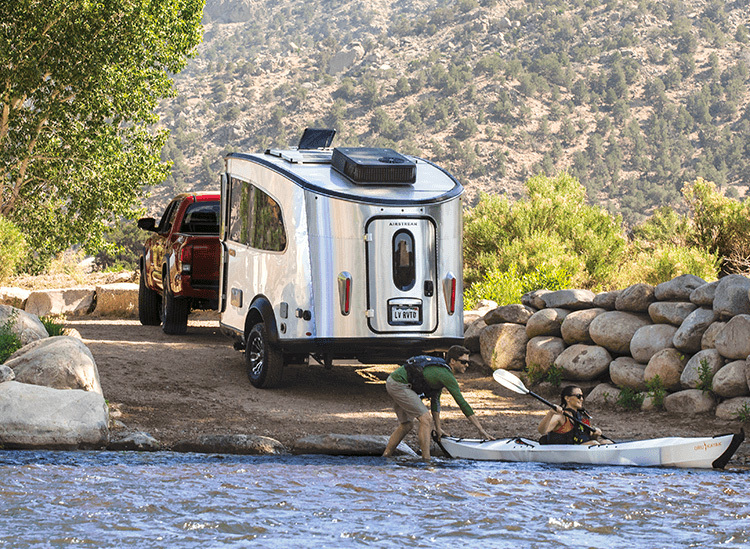 The new Basecamp X features all the comforts & tech of the original—full bath, kitchen, USB ports & solar panels, but it also got a 3-inch lift & Goodyear Wrangler tires on upgraded wheels, plus stainless steel rock guards, & a solar window guard, all features that make it a bit tougher for off-road adventures.